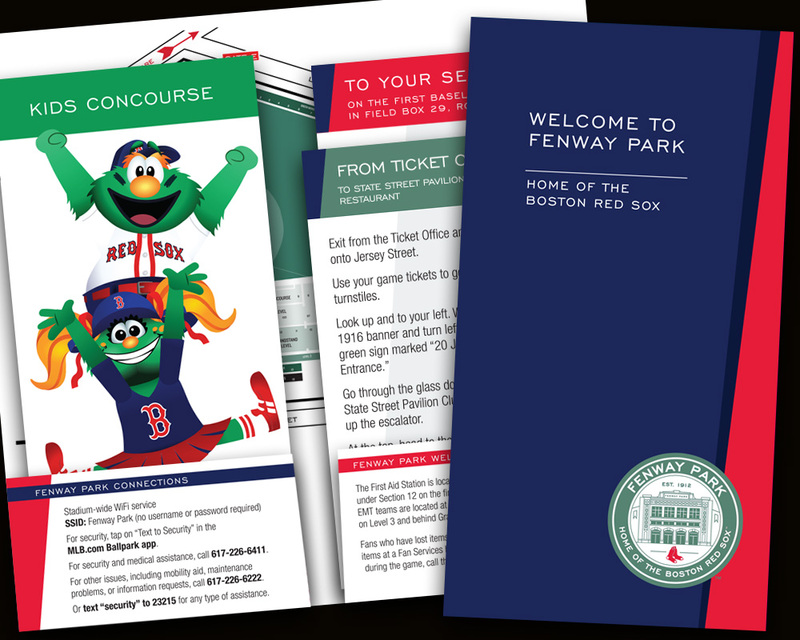 accentwebdesigner | Accent Design | Inc.
We created a customizable ticket folder for guests to Fenway Park that accommodates game tickets, food and drink passes, directions to and from seats, and more! Developed branding mark for this Manchester CT organization that honors sports greats who graduated from Manchester public schools. 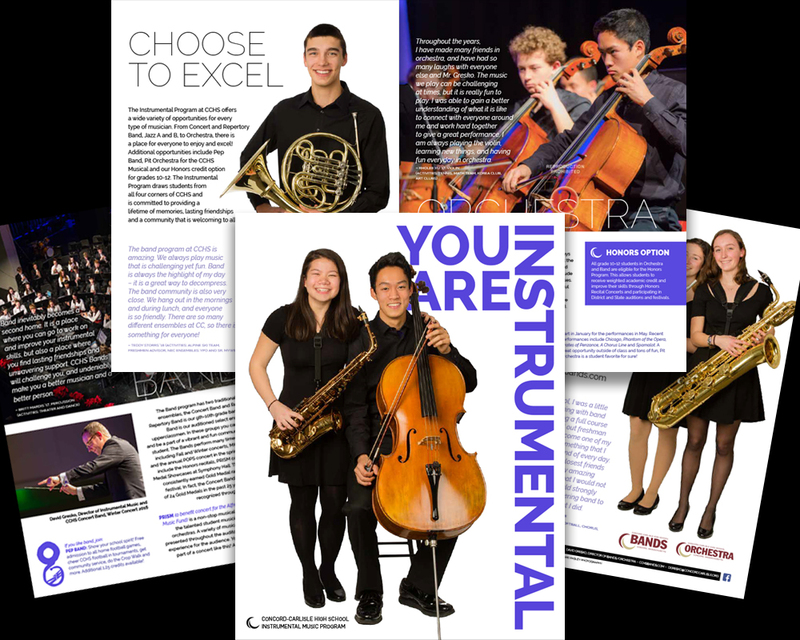 Season program brochure highlighting the breadth of offerings at a regional music center west of Boston featuring professional symphony orchestra, internationally acclaimed chamber ensembles, jazz, roots and classical soloists. Fun logo designed for the local MA Cultural Council branch. 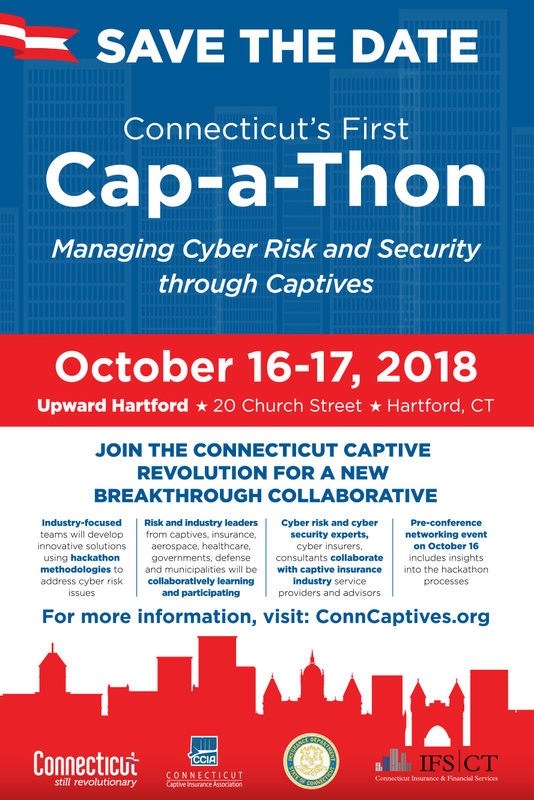 This artwork formed the basis for all communications related to the CT Captive conference on Cyber Risk. 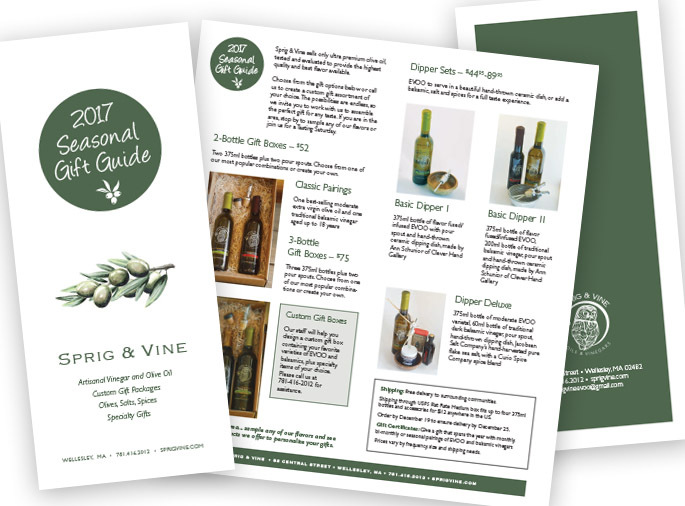 It was used in various forms for email marketing, signage, flyers and event program materials, as well as the backdrop for a pop-up tradeshow booth. We were charged with creating a new branding mark for the temple that includes traditional elements as well as a distinctive tapestry that hangs in the synagogue. 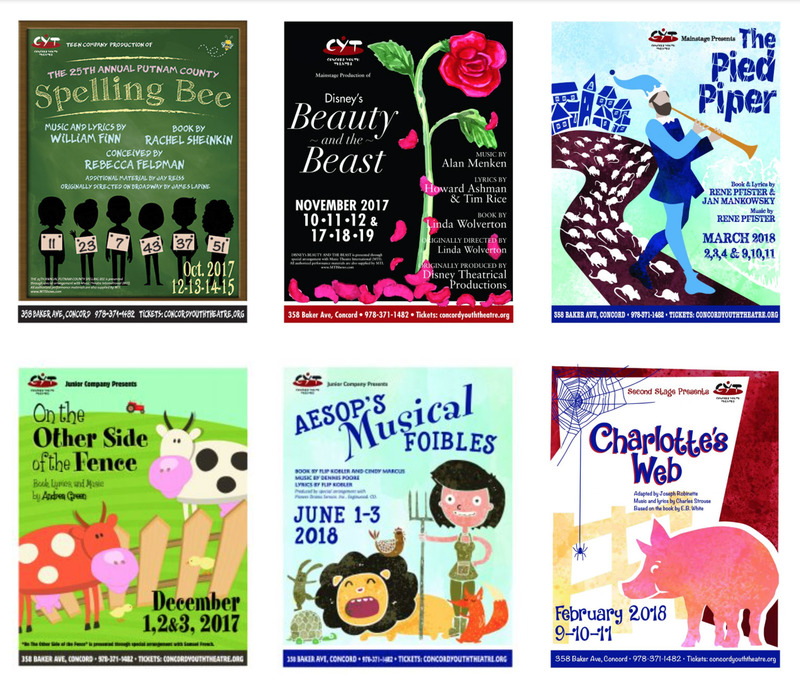 Annual season mailer announcing upcoming productions. 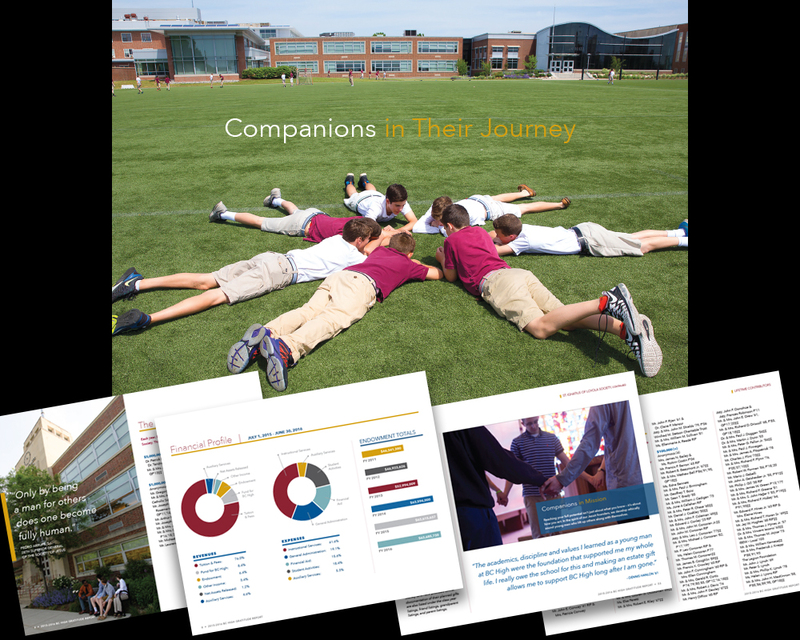 This annual publication reports the generous donors who give to the school as well as highlights faculty, new programs, improvements and more. 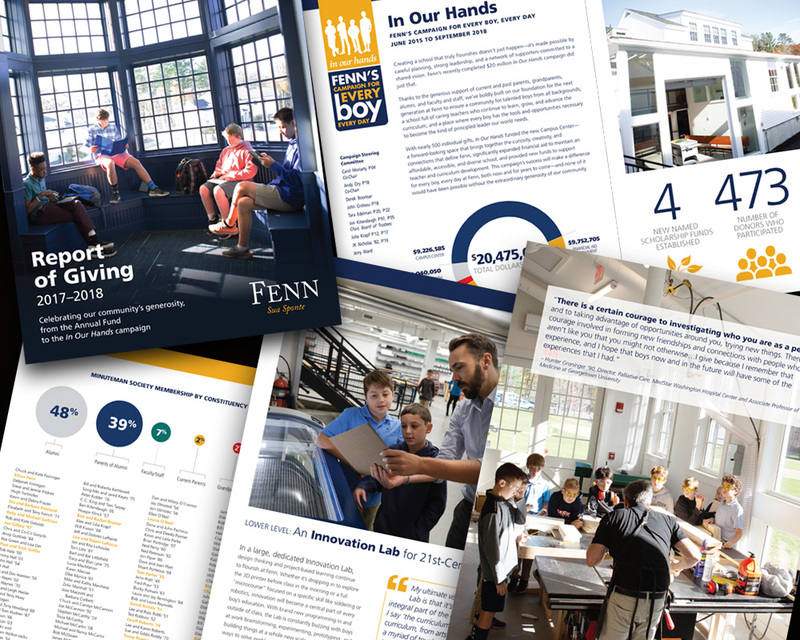 The 2018 book has been completely redesigned, loosely based on recent fundraising campaign materials. 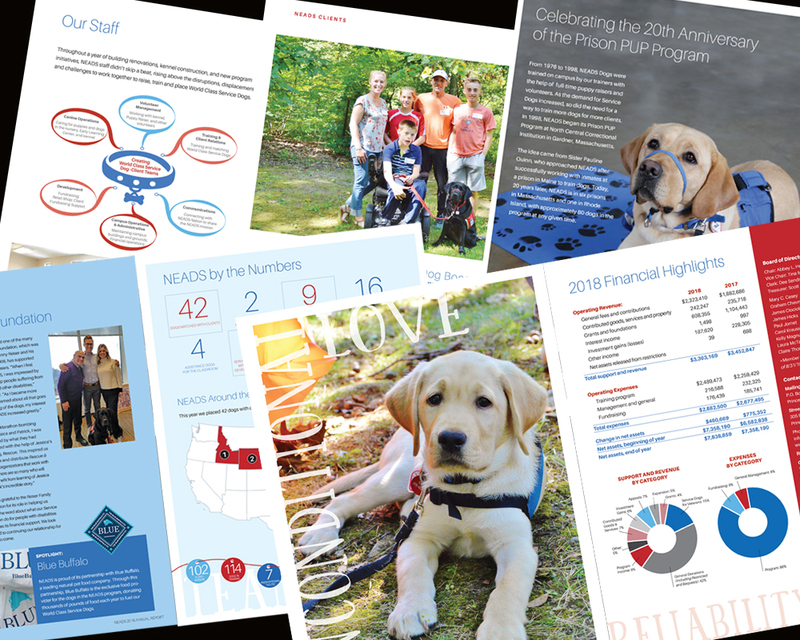 This year’s annual report features client stories, updates on the kennel project and donors. 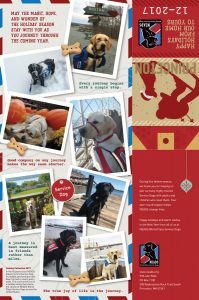 Clients supplied their own descriptive words displayed throughout the book to tell the story of what makes NEADS service dogs so special. 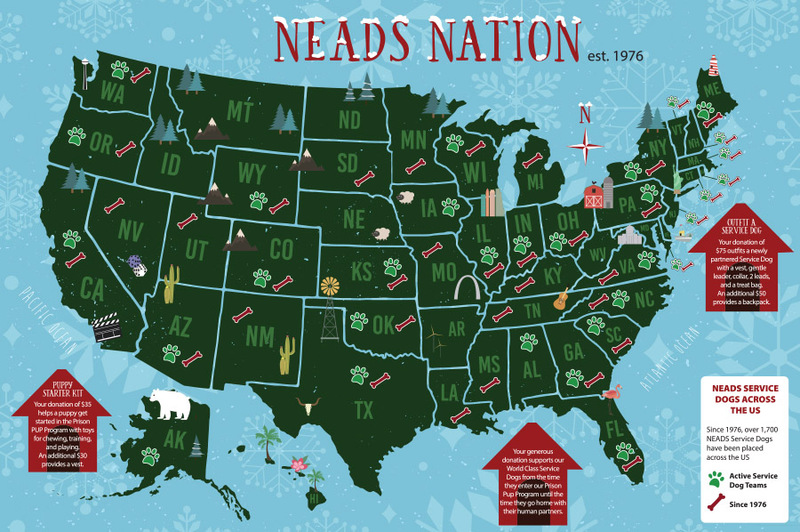 We designed a print calendar as a fundraiser for NEADS. 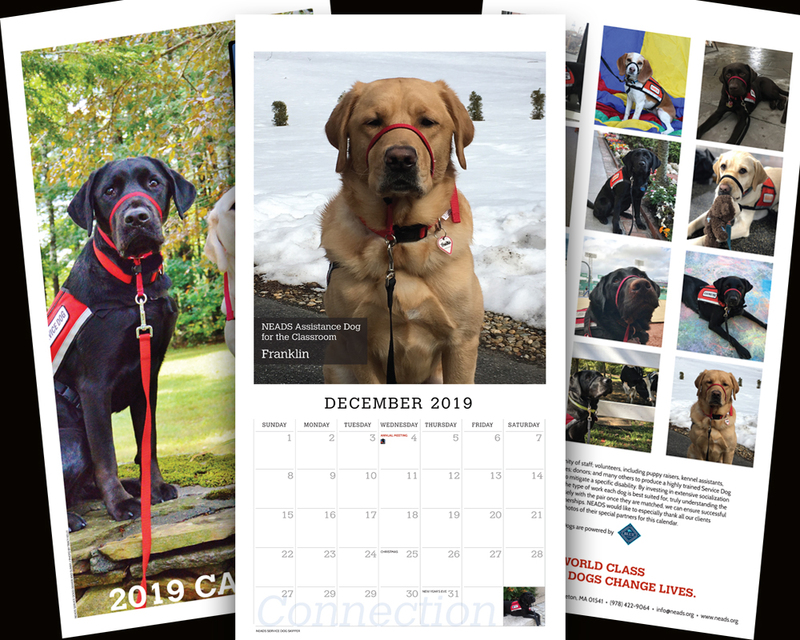 Any project that features gorgeous service dogs is bound to be a winner! 8.5×17 with a top wire finish makes it easy to hang. 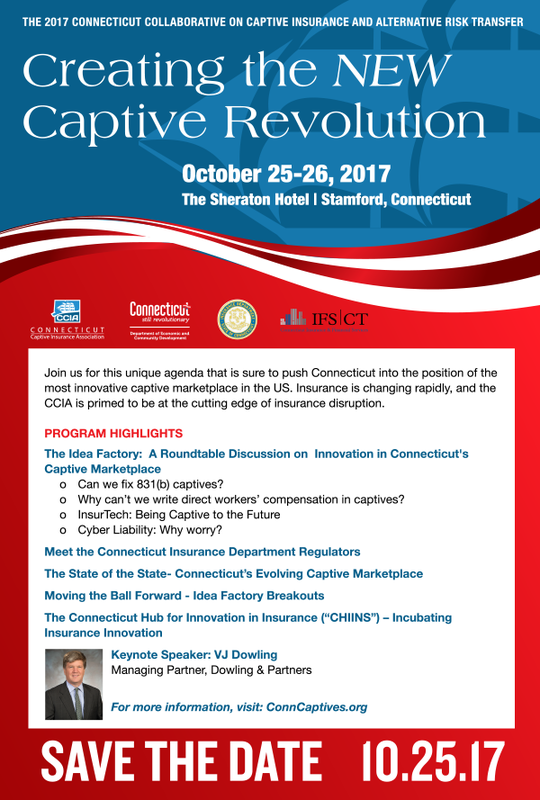 Email blast for the 2017 CT Captive Insurance Symposium to replace the traditional save the date postcard. 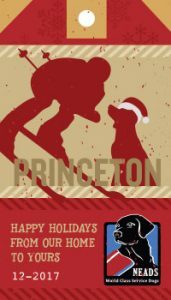 This design was subsequently used for flyers, a program book, powerpoint templates and signage at the event. 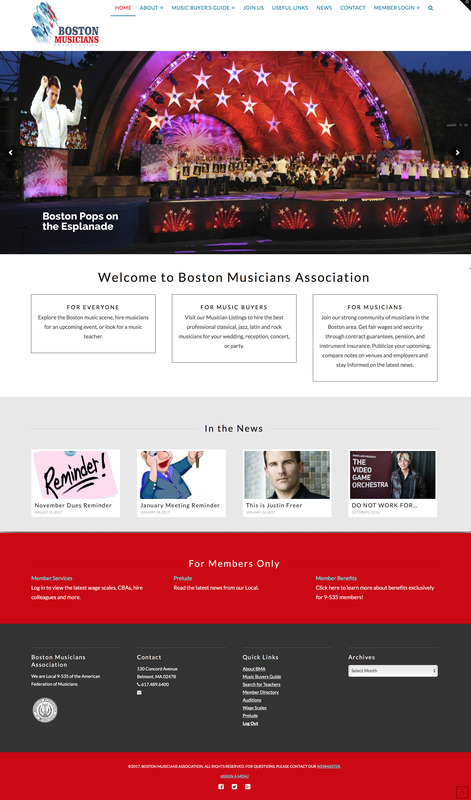 A clean new design, information organization, and conversion to a content management platform highlighted this redesign for the BMA. 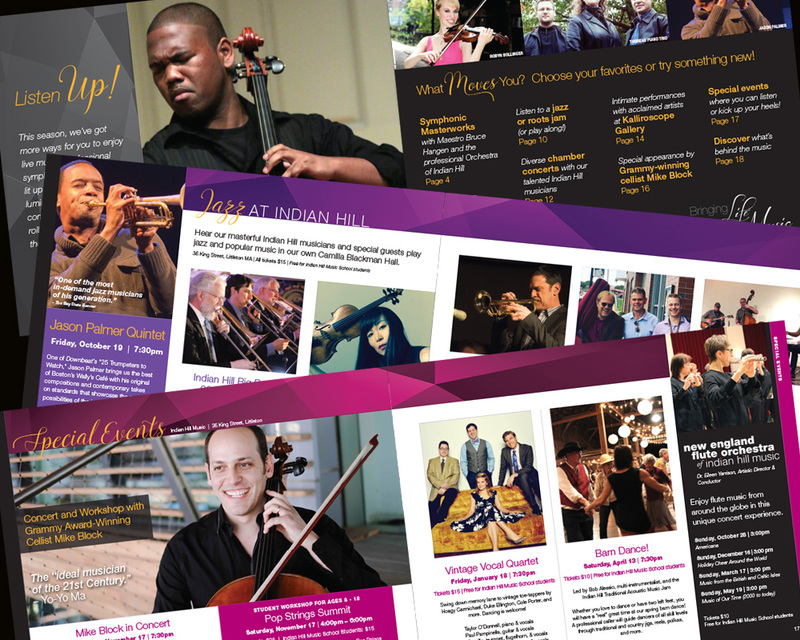 The new site is ready to grow with the organization with room for news and blogs, musician spotlights, concert calendars, online payments and more. 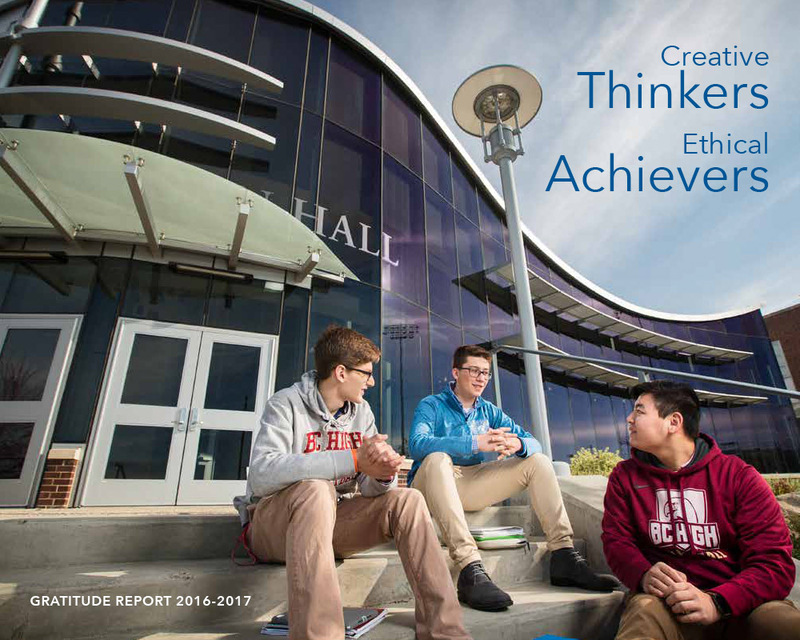 Winter installment of the BC High alumni magazine. 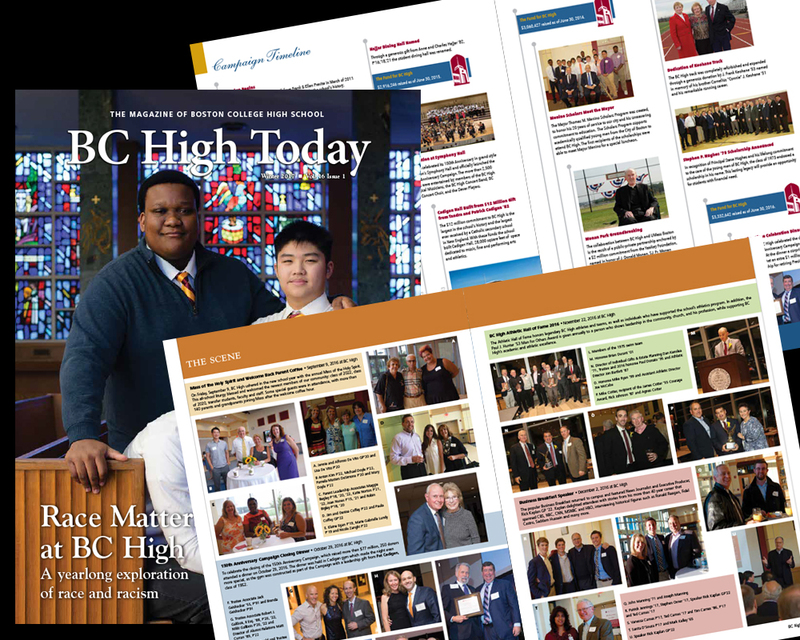 This edition featured several photo collages and a timeline of their recently completed capital campaign. 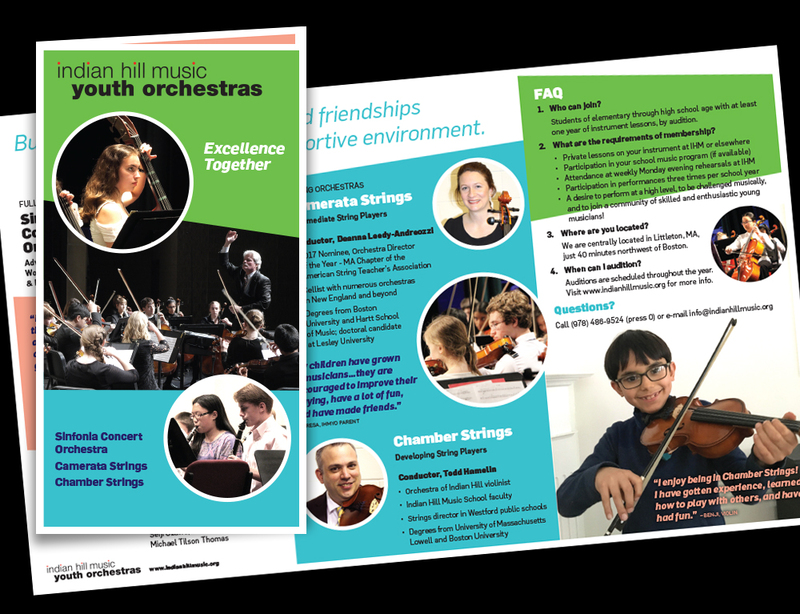 Preview capabilities brochure for the newly improved youth orchestra offerings.